Tsubaki of Canada will begin selling its highly regarded Cam Clutches to the North American market. Tsubaki of Canada is pleased to announce the launch of its Cam Clutch product line to the North American market. Recent changes at TCL’s parent company (Tsubakimoto Chain Co.) have allowed for unregulated globalization of the Cam Clutch product line which Tsubaki has been manufacturing and selling outside of North America for over 50 years. During this time Tsubaki engineers have been designing and improving uni-directional/mechanical clutches to meet the demanding needs of their customers and the marketplace. These precision devices, which lock the inner and outer races through the locking action of cams, transmit torque in one direction of rotation while overrunning in the other. The vast experience of Tsubaki’s engineers has led to great innovation, allowing Tsubaki to offer the most complete and versatile selection of one-way clutches in the industry. Tsubaki utilizes precision formed cams made of a special alloy steel that provide extended wear, increased fatigue life, and greater torque holding capacity. In addition, the races are made of high quality alloy steel with high surface hardness and core toughness, and are precision ground to provide excellent concentricity and surface finish to provide accurate cam rotation. Tsubaki offers a wide variety of cam clutch products to fit the specific needs of each application, from backstop cam clutches to general indexing and overrunning clutches. For more information on all of Tsubaki’s Cam Clutch offerings visit www.tsubaki.ca or call 800-263-7088. Issue: The customer was experiencing chain failures on a large log debarker unit. A competitor’s RS160 chain was always used on the application however caused weekly downtime as the chain suffered from fractured plates and pins. The chain was fixed weekly and replaced twice monthly resulting in approximately 4 hours of down time a month. 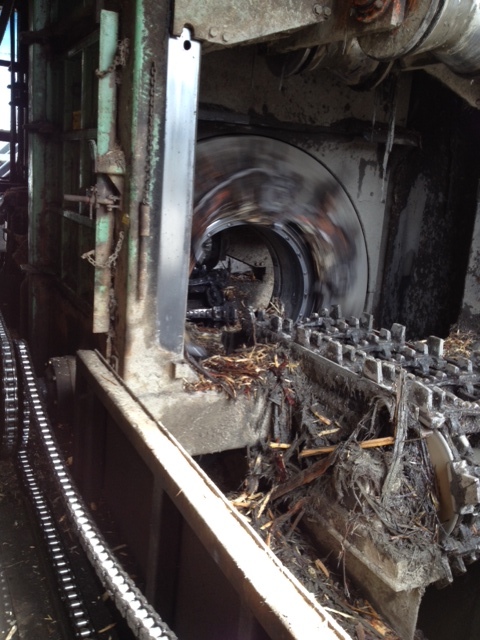 The cost of downtime for this customer is approximately $50,000 per hour in loss production. Tsubaki Solution: Tsubaki’s technical team analyzed the application and concluded that the load applied to the drive was more than twice the recommended maximum allowable load for RS160 chain. Due to this high loading in combination with shock loading the chain was subjected to plastic deformation, which led to tensile failure. The debarker required a chain with high fatigue strength and shock loading resistance. Tsubaki’s Super chains have been successful in the past limiting these factors due to ballized holes, through hardened pins and wider link plates, thus, RS160 SUPER was recommended. Cost Savings: Although the Super chain was twice the price of the competitor’s RS160, Tsubaki’s RS160SUPER has been running for 160 days compared to 14 days and has saved the customer over $26,000 in chain replacement excluding any loss production. - Short driving distance with slack side on top – idlers can be placed just after the driving sprocket depending on required slack. - Long driving distance – 1 or more idlers can be used to prevent excessive slack and chain wave. - Vertical centerlines – depending if the drive is on top or bottom, idlers are placed to ensure proper chain wrap and engagement/disengagement. 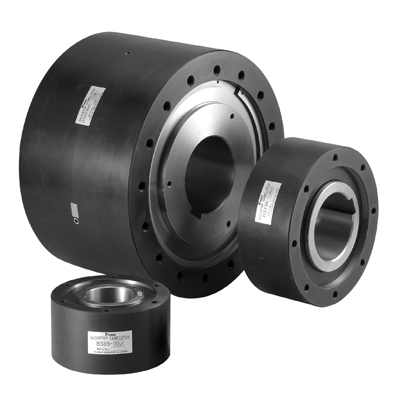 Idles can be furnished with bushings, bearings or plain bores to suit specific needs. Spring tensioned idlers are ideal in areas where routine maintenance is not possible as they will keep constant tension as the chain elongates. Screw type or manually adjustable idlers should be used in areas under periodic supervision. When in doubt, design layouts and specs can be reviewed by Tsubaki to ensure they are suited to the application. Idler sprockets are very simple by nature and bare no real driving load so after proper placement, the main consideration is wear (not only tooth wear but wear on the bore) due to speed or the environment. Proper lubrication and bearing/bushing selection is also important.